For more details or questions, please contact Naomi Hirsch. Teacher Lisa Troy had great success using the Pesticide Spill scenario with her 8th grade students. Read post. 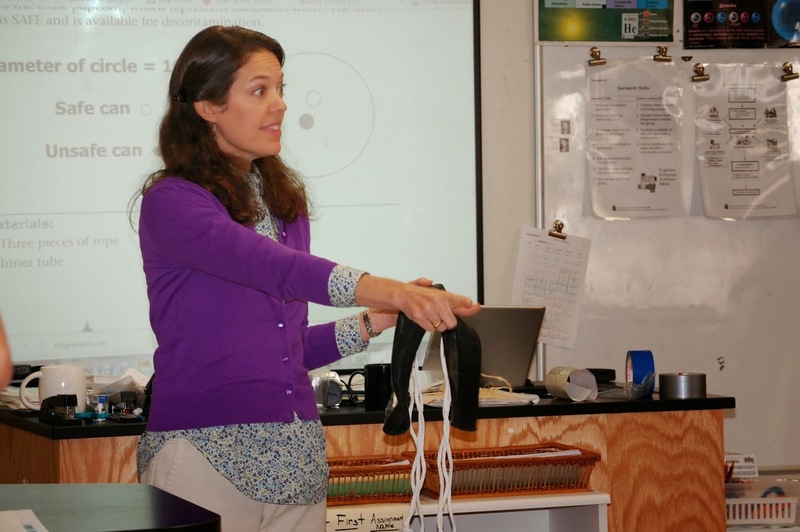 Two teachers using the Indoor Air Quality (IAQ) Curriculum received national recognition by the U.S. Environmental Protection Agency in 2005 for their outstanding teaching and mentoring achievements. Kaye Martin and her collegues integrated the IAQ Curriculum at the Springfield Young Parent Program. At the completion of the curriculum, the students presented their findings to the actual School Board of Springfield Public Schools. Debbie Cooper of the Beaverton School District applied the IAQ Curriculum to research projects with her students in the Science Research Club. They examined the relationship between student performance and classroom temperature and presented this at regional and state project competitions.